I was not shocked to learn that Erna Solberg, the Norwegian PM, has slapped down Nick Boles's "Norway then Canada" plan. It's the same old story. The Tory-come-lately steams in with only half a clue, thinking he knows it all and then very predictably hits the rocks. He has now given opponents of the EEA yet more ammunition - who are already spinning it as though Soldberg has ruled out the option entirely. Not taking the hint, Boles then tweets "This is obviously disappointing. But what matters is being in EFTA pillar of EEA, not full membership of EFTA". Boles here assumes that the EEA agreement can be activated for the UK with a couple of splashes of Tippex and the job's done. But as much as the EEA needs substantial configuration for UK use, he is not thinking about the process either. Being that the process is a minefield of legal complexity it is sure to require a number of clarifications and discussions all making use of the EEA institutions and presumably the Efta courts. On paper it is less disruptive than full membership but in practice amounts to much the same. We have yet to hear from Boles what's in it for them. Any plan involving Norway/Efta was always going to require an incentive for the Efta states. The UK as a committed Efta member could make it in the strategic interests of Norway - but if we're just using them for temporary convenience it's a disruption and an insult. 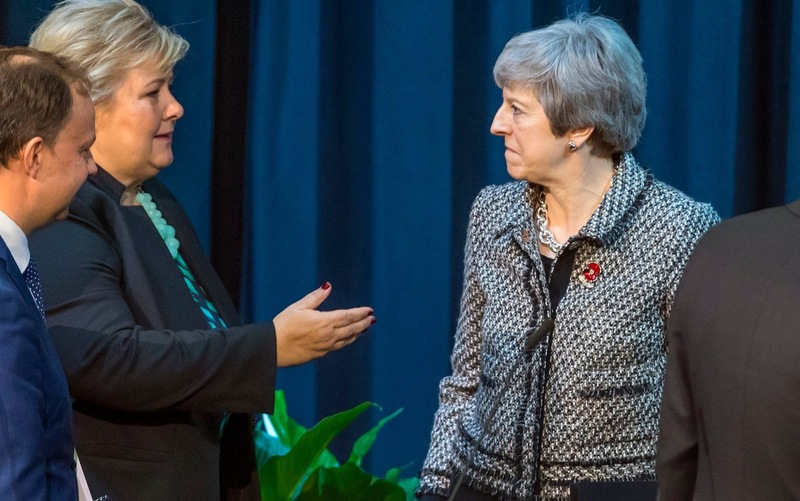 Solberg has always been lukewarm to the idea of the EEA as a settlement, which she would since, should the UK embark on such a plan, she holds some of the winning cards and can use that leverage to the advantage of Norway. If the UK wants to take that avenue we will have to make it worth their while. It is, though, entirely typical for the Boles ilk to plough in and throw their weight around without having done the groundwork. He is a Tory after all. The idea of the EEA as a transitional measure is not a new one. The Leave Alliance campaigned for a transitional EEA arguing that it would be used as a departure lounge. The difference is the timeframe and how you pitch it. EEA would be a viable long term transitional avenue but the acceptability rests on a question of what we are transitioning to. As a joint Efta endeavour to reshape the EEA and evolve it, it would have stood a chance, but to waste a number of years only to drop out to an undefined FTA which would need to be negotiated in parallel is not sensible or logical. It is also completely lacking vision. Boles took the outline of an idea without understanding it, without putting the work in, took ownership of it (as many have before) and completely ruined it - regressing the debate in the process. Instead of helping the case Boles has hammered another nail into the coffin of the EEA option. 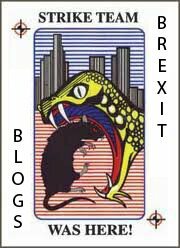 It is that egotism and singular lack of vision that has dogged the Brexit proceedings from the outset. All parties involved are still looking at Brexit as a Rubik's cube to be solved rather than an opportunity to reshape European relations. We have seen a number of submissions from the likes of Open Europe, cherrypicking and inventing to get around EU roadblocks - often completely ignoring what has already been discussed and rejected by Barnier. No doubt there are solutions to a number of difficult dilemmas but everything suggested thus far requires that the EU bends or breaks its own rules with no particular incentive to do so. We are then surprised when the EU says no. They simply do not learn. At this point any discussion around the EEA option would be academic since May has repeatedly rejected it and it has suffered a number of blows along the way, not least with issue illiterate misrepresentation in the media, the BBC especially. The reason it continues to float to the top is that it remains the one viable framework for an orderly departure. What keeps it out of the running is the media's total refusal to acknowledge that there are political avenues to curbing freedom of movement within the EEA and the often repeated myth that Norway "adopts all the rules" and "has no say" - most recently repeated by the idiotic Chris Morris of the BBC. Whenever the BBC produces what they call a "reality check" explainer they have to rob any issue of nuance while also getting the basics wrong. There is a mountain of analysis in the public domain yet BBC hacks refuse to avail themselves of it and continue to treat their audience like children with the attention span of a gerbil. What happens now, though, is anyone's guess. Between the ineptitude of the media, Remain and Leave propaganda and arrogant know-nothing Tories like Nick Boles, the EEA option is once again swept to the sidelines while we churn over the few remaining options, none of which good. We now have to wait for Brexit day until there can be any serious attempt to resurrect the option, preferably under new leadership. That leaves us to bicker over the customs union and the NI backstop meaning that we have made zero progress since December and will likely have to wait until next year to be able to call it. Meanwhile we coast toward no deal with wholly inadequate preparation. We should note, however that the EEA option is never dead. If we do crash out then it the EEA option becomes the most viable rescue plan. After Brexit day there is no chance of a second referendum and re-entry into the EU would require a formal accession process, losing all our current opt outs, possibly requiring we join the Euro. These are all issues that Remain will have to confront. EEA Efta will be the fastest way to get things up and running again and when faced with some of the consequences of no deal, with the Ultras having lost all credibility, political opposition will melt away. I have long suspected that the UK will need a "Dunkirk moment" before there is any clarity to the Brexit debate. Rees-Mogg will have to explain how collapsing orders from UK factories and jammed ports constitutes "fwee twade". No politician can withstand that level of ridicule. Once the bed blockers are out of the way the adults can get on with designing a pragmatic solution. May will be gone and so too will her red lines. From there we may find a road back to sanity.